Passive intermodulation distortion (PIM) is phenomenon that degrades communication system performance in virtually all DAS and cellular installations. The severity of PIM, and the measures necessary to mitigate PIM depend on the system design, materials, environment, transmit power, and the systems sensitivity to PIM. Single frequency and narrow band communications technologies tend to be less susceptible to PIM, to the point where PIM isn’t a concern in many such systems. However, there are a growing number of multiband systems in the sub-6 GHz frequencies and there is also a trend toward greater wireless system density. Of which, both trends contribute to a single system’s PIM susceptibility, and may also impact nearby systems. Modern multiband systems, such as distributed antenna systems (DAS) and small cell (microcell, nanocell, picocell, and femtocells), often incorporate several cellular carriers frequencies, Wi-Fi, and even public safety/emergency signals. Hence, any intermodulation products created on these systems, or nearby systems, could lead to reduced system performance. This reduction in throughput and in random dropouts, which may appear anomalous, could be a product of the particular frequency mixing products of the PIM source. 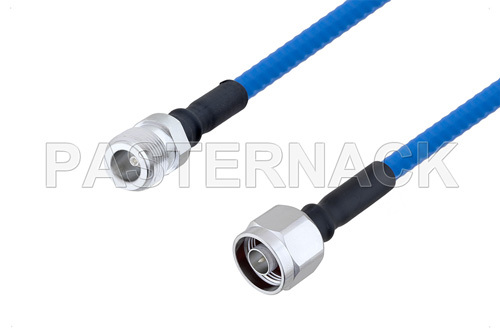 There are a variety of low PIM cable assemblies available, which often use new low PIM connector and coaxial cable designs. Unfortunately, any internal or external connection in the transmit signal chain is a potential PIM generator, and cable assemblies aren’t the only area for concern. Therefore, there are a wide range of other components commonly used on the transmit side of a communication system that are also available with low PIM versions. These transmit side components with low PIM variants include tappers, splitters/dividers, directional couplers, loads, attenuators, adapters, and even DAS antenna. Power distribution components, such as tappers, splitters, and dividers, are used to distribute power evenly, or unevenly, amongst two or more ports in a system. Tappers, splitters, and dividers are often used in DAS and small cell systems to distribute transmit signals to several remote radio heads or antennas. As these components involve several complex internal connections and are in the transmit signal chain, often for several antennas, it is important that these components are rated as low PIM. Otherwise, any PIM generated in these components could interfere with several sectors or distribution lines. Stay tuned for next week’s blog, which will discuss more low PIM components, such as Directional Couplers, Loads, Attenuators, Adapters, and Antennas.